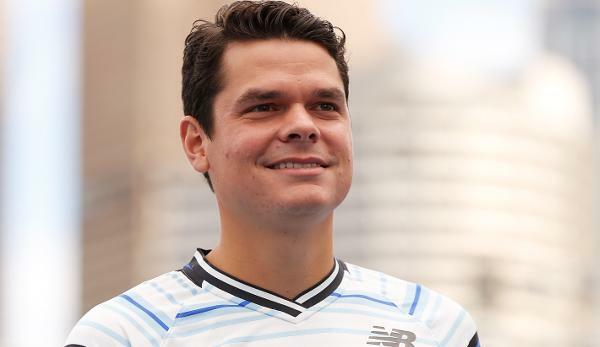 Milos Raonic, who fell to 38th place in the world rankings, seems to be looking for a trainer again: After Jonas Björkman’s supervision of the Canadian in Delray Beach, he is now trying to join Goran Ivanisevic at the Masters event in Indian Wells. Milos Raonic has seen much better times. Only one match was enough to win the former third place in the world rankings this season. Early defeats against Alex de Minaur (Brisbane), Lukas Lacko (Australian Open) and Steve Johnson (Delray Beach) document the depth of the 2016 Wimbledon finalist’s sporting crisis. Recently, the impact giant, plagued by numerous injuries, had worked with Javier Piles, the former long-time coach of David Ferrer. However, the weak performance in Australia caused the 27-year-old to change horses again. Raonic, who has already cooperated with illustrious personalities such as Riccardo Piatti, Carlos Moya, John McEnroe and Richard Krajicek in the past few weeks, has started a small coaching casting. In the draw are Jonas Björkman – the former Swedish coach of Andy Murray and Marin Cilic recommended himself at the ATP World Tour 250 tournament in Delray Beach – and most recently Goran Ivanisevic. The Croatian had recently put himself at the service of Tomas Berdych, but Ivanisevic’s greatest merits as a coach came from Cilic’s side, with whom he succeeded at the US Open in 2014. Whether the former “Lord of the Asse” will be in harmony with Raonic, the duo now wants to test under competition conditions at the first ATP Masters 1000 tournament of the season. The Canadian in 32nd position could meet Alexander Zverev in round three. After a walk-through to the opening round, Raonic will first be confronted with a qualifier in Indian Wells.